Scabies is a contagious skin condition caused by mites called sarcoptes scabiei. This word scabies itself is derived from the Latin word “scabere” for “scratch”. It can affect people of all ages and from all social levels. Scabies is a water related disease caused by tiny mite sarcoptes scabiei which burrows under the skin causing allergy itching. This disease is transmitted from objects as well direct skin-to-skin contact. Scabies is caused usually due to lack of hygiene, but again even people who keep themselves clean can get scabies. Intense Itching and skin rashes are the symptoms of scabies that often happens after a bath or hot shower. These rashes appear on the wrists, elbows or in- between the fingers and toes. Scabies walks away on its own after applying lotion or creams. 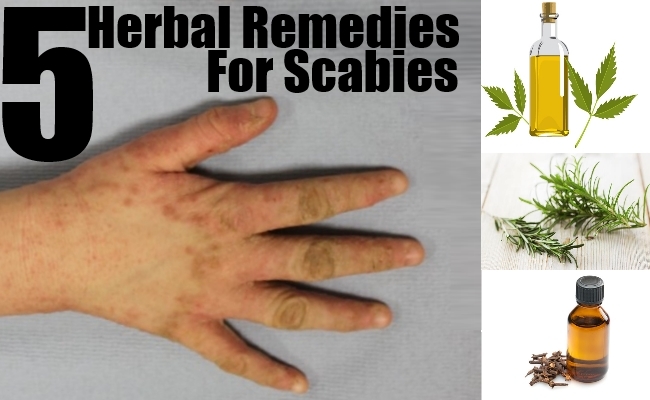 Below given are a few herbal remedies that will help you with scabies. Tea tree is a traditional herb that is used to treat bruises, cuts and infections. 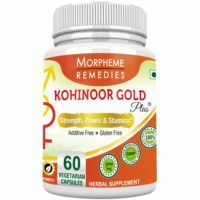 It is a unique blend of different active ingredients and has anti-inflammatory, pain-killing properties. This tea tree oil is obtained through distillation from the leaves of the plant and it contains a substance called terpinen-4-ol, which helps to soothe the itching. According to researchers, 90% of the mites were killed after exposure of 5% tea tree oil because of the active ingredient of terpinen-4-ol. Tea tree oil works equally as compared to medications and has no side effects and interactions with drugs. Apply tea tree oil to a cotton ball and apply it directly over the affected area, leave the oil on your skin to dry. Repeat this procedure twice a day for best results. You can also simply spray a small amount of tea tree oil into a tub filled with warm water and soak to soothe itching. Aloe Vera is a plant that is originted in north Africa, it is one of the oldest herbal remedies that is used to treat skin disorders, wounds, acne and insect bites. Aloe contains polyphenols, cinnamic acid, rhein, lupeol and anthraquinones that have anti-pesticide and antimicrobial properties. You just have to apply the aloe gel to the rashes for quick effects. Clove is an evergreen tree reaching a height of 15-30 feet tall. The dried flower bud of clove is an aromatic spice found in kitchens. Use of clove oil appears to be very effective for itchy disease. Clove oil helps to kill the mites within 15 minutes. Eugenol, the active ingredient found in clove oil is very effective in clearing mite infestations. Clove oil can be produced at home from buds of the plant, since clove oil is strong drop 2 teaspoon of clove oil in 1 teaspoon of almond, coconut or olive oil and then damp it in cotton ball and apply on the lesions. Repeat this for a couple of days. Rosemary is a medicinal herb used throughout the world. This plant contains important compounds like camphor, 8-cineole and has antimicrobial, astringent and anti-inflammatory actions that helps to treat scabies. Rosemary oil kills mites and helps to dries up bruises, and heals the wound quickly, but beware not to take this oil internally. Dabbing on a little rosemary tea helps to stop scabies infestation. Neem oil is made by crushing leaves of the plant to ease skin conditions. This neem oil is used to treat scabies, an infestation of tiny mites. Pour some neem oil on a gauze pad or clean cloth and apply to the localized scabies infestations, leave for twenty minutes to eliminate the mites and inflammation associated with mites. Repeat this twice per day until infestation has resolved. It is recommended to dilute neem oil with olive or almond oil so that it does not irritate your skin. Apart from the above, there are many other herbs such as oregano oil, honey and garlic that is used to treat scabies.